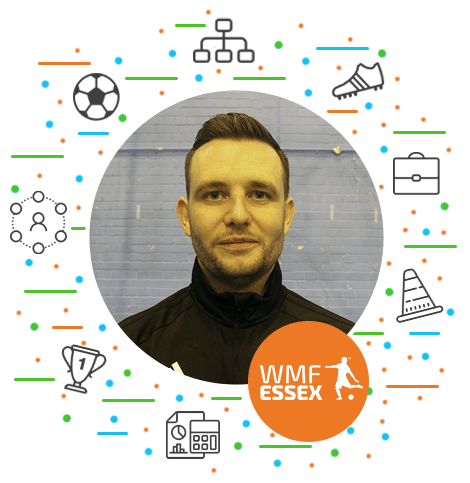 I worked full time in the TV industry since I was 20, but after a severe medical setback beginning in 2013 I have was determined to turn my passion for football into my full time job role. In November 2017 I was effectively discharged from requiring regular hospital consultations. This gave me the freedom, and confidence, to finally look into making my goal into a real possibilty. I purchased my WMF franchise in September 2018 and I couldn’t be more excited for the journey ahead! The guys at WMF have been awesome! They have been quick to respond to questions while helping me through the appliaction process. I get on well with Sean (CEO) and Eve (Ops and Maketing Manager) both have been incredibly helpful. Using data mapping, they were able to help me choose the best territory to set up my franchise, as well source the best venues in my area. They also connected me with Franchise Finance to support my funding application to finance the business.